Card Gatefold Sleeve with 12-page staple-bound insert booklet featuring band portrait photography and credits. Recorded at State Of The Ark Studios, London. Additional production by Chris Potter for Z Management. 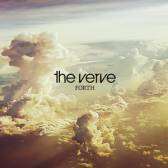 Published by Richard Ashcroft Music admin by Kobalt Music Publishing/Copyright Control. Richard: Dedicated with all my love to my wife and our beautiful sons. Love to all my significant others. Thanks to Brian for 'bright prosaic malls' and special thanks to Chris, Jazz and Tim. Nick: All my family and friends, notably Em, Chef Simon Doherty, Mig Schillace, Charley Bickers, Northern Souls massive, Walsh family. You lot in Manchester and Bath. Long overdue thanks due: John Horsley, Shaun Jones, the Foggerr family, Phil Latham, Ray Chan,. Our brilliant crew, colleagues and extended family; notably the long suffering Caron Malcolm, Adey Wilson and Gill Massey. Also my brethren in the Verve. Many thanks. Apologies to anyone forgotten in the rush. Pete: Thanks to Pam, Joe, Ben and Isaac and family, also, everyone involved in the record. ℗ 2008 The copyright in this sound recording is owned by Virgin Records Ltd. © 2008 Virgin Records Ltd.